WINNIPEG – ICE Futures canola contracts traded either side steady on Thursday, as there was little to move prices either way. A big feature on Thursday was traders rolling out of their May contracts in large numbers. Weighing on values were the ongoing Canada/China dispute and a very large South American soybean harvest this crop year. Support came from Prairie spring road bans, farmer reluctance to sell and the expectation that farmers will plant fewer canola acres in 2019. The Canadian dollar was down by midafternoon on Thursday, at 74.71 U.S. cents. SOYBEAN futures at the Chicago Board of Trade were down on Thursday. Storms were expected to wreak havoc on the United States Midwest and Northern Plains today, with 12 to 30 inches of snow expected to drop on North Dakota and Minnesota. Severe thunderstorms were to hit other states, including Illinois and Indiana on Thursday. The wet conditions will force U.S. farmers to rethink their planting intentions. Reduced acres of corn and now of wheat and even soybeans in the Upper Midwest are expected for 2019, according to a report. Fears of African Swine Fever coming to North America from China forced the cancellation of the World Pork Expo, set for June in Iowa. The effects of African Swine Fever will impact China’s pork output this year, according to a report. Production has been estimated to drop 30 per cent in 2019 as a vast number of hogs have been culled to help halt the spread of the disease. Vietnam’s hog industry is expected to see its hog production fall by 10 per cent in 2019, also due to the fever. African Swine Fever is nearly always fatal in hogs, but is harmless to humans. Reduced Asian demand for soybeans and a plentiful amount in global stocks weighed on values. 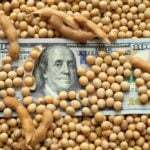 The U.S. Department of Agriculture (USDA) released its weekly export sales and numbers were disappointing for soybeans. About 270,000 tonnes of old crop soybeans were sold for the week ended April 4, plummeting by more than 75 per cent from the prior four-week average and well short of expectations. CORN futures were also weaker on Thursday, due in part to soft export demand. The USDA reported 548,000 tonnes in private sales of corn were sold last week, short of the projections of 600,000 to 950,000 tonnes, and 18 per cent below the four-week average. U.S. this year. 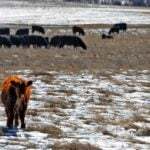 Already the USDA’s projections are for the fewest acres planted in 100 years. The USDA reported wheat exports amounted 273,000 tonnes last week, down 37 per cent from the prior four-week average, continuing to lag behind expectations. 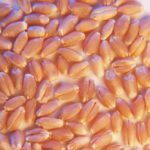 Strategie Grains lowered its projections for the European Union wheat crop for 2019 by 1.8 million tonnes, at 144.8 million tonnes. However, that would still be 7.2 million tonnes more than the EU’s 2018 wheat crop. Light crude oil nearby futures in New York was down $1.03 at US$63.58 per barrel. In the afternoon, the Canadian dollar was trading around US74.75 cents, down from 75.04 cents the previous trading day. The U.S. dollar was C$1.3378.